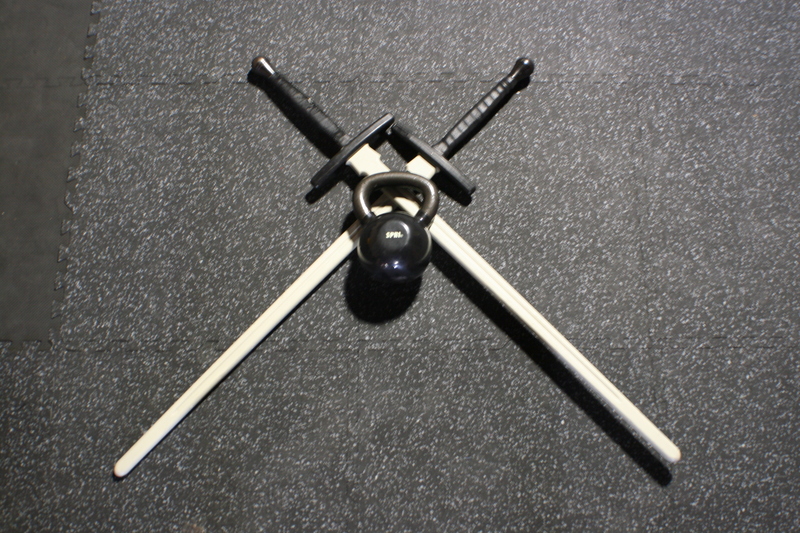 Martial arts is one of the most effective forms of cross-training available. It combines aerobic and anaerobic exercise with a diverse workout that builds core strength, cardiovascular fitness, hand-eye coordination, balance, and timing. There are plenty of cardio-kickboxing routines out there, but we wanted something a little more challenging, and more in keeping with what Forteza is all about. Thus, FightingFit! FightingFit! is a solo training program that combines a great way to build confidence, bust stress, and get in touch with your inner warrior through a combination of weapons training, basic boxing skills, body-weight exercises, Kettlebells and “old school” fitness techniques that literally extend back hundreds of years, you can now use the tools of the warrior to build endurance, agility, raw power, reaction time, and fluid motion. This was something that hadn’t been tried and we weren’t sure how it would do. The good news is that the program has seen a lot of service this year. Students from all of Forteza’s other programs, and some folks who just wanted a new way to get in shape came together to train. A lot of pounds were lost, and no one failed to get stronger. 2013 is off to a great start, and we are looking at new drills, new routines, and yet another season of fighting our way to fitness! 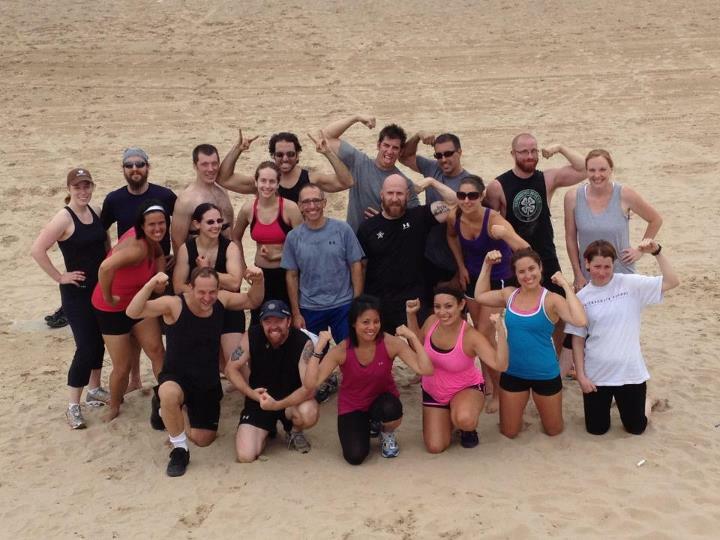 Forteza had a busy adventure race season, participating in not one, but two Spartan Races! The Spartan Race is known as the most difficult mud run out there, with only a 70% success rate. Three of our athletes traveled down to Indiana for a 5K Spartan Sprint in April, and in October, we had a whopping eleven Spartan compete in the 9 mile Super Spartan. As if the obstacles and mud weren’t enough, the weekend of the Super Spartan also dropped into freezing temps. However, even through cramping and near hypothermia, the entire team made it through the end. You can read more about Forteza’s The Road to Sparta on our personal training blog. In order to prepare for the challenge of two Spartan Races, we had to run two Temple Burnings in 2012. The Temple Burning is an annual tradition of a full day of physical training designed to push each athlete to their breaking point. Temple Burnings aren’t just for the Spartan Racers; there is a mix of martial arts students, personal training clients, and weekend warriors. The first Temple Burning was done along the shores of beautiful Lake Michigan, and highlighted such fun activities as uphill burpees, a pull-up contest, and sand sprints. The second Temple Burning was even harder, and only included the Spartan Race team. Each athlete had to keep a 25-35 pound kettlebell in their backpacks as we ran through the 5 mile course, which included break out kettlebell circuits, tabata rounds, and the dreaded hill sprints.